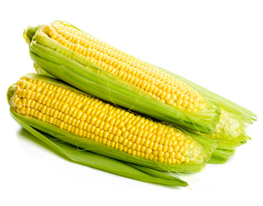 Corn is an important plant which is grown for its kernel and for obtaining silage and used human and animal nutrition. Its cultivation area in our region expands increasingly. Silage is a storage method based on souring green feeds by storing them in unventilated environment. Silage is obtained from many plants. Researches and applications conducted have shown that top quality and the easiest silage is obtained from corn. 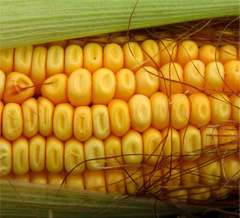 As corn is a plant from which silage is made easily, its protein and energy values are very high. Corn silage is consumed by being liked by animals. Its nutrition value is higher than other silages. Corn silage can be easily stored for two years. Silage which has an important place in nutrition of all animals, especially dairy cows, is an indispensable element for profitable animal breeding. For farmers dealing with animal feeding, growing corn and making silage are a must for economical animal feeding. In Konya city showing characteristic features of Central Anatolia’s continental climate, vegetation period for corn is considered as between April 25-September 25, shifts such as later spring and earlier fall frosts might be seen. As these timeless cold weather and frosts that have not posed a great threat in silage corn cultivation until today cause decrease in yield by damaging plants in farming for kernel and if appropriate variety selection is not taken into consideration, problems relating to high kernel moisture at the level that may even threaten safe ripening may be encountered during harvesting. There are more than 160 varieties which has been registered or received production permit in Turkey. Only 10-15 of these have been registered as products for silage or have received production permit, all of other varieties have been registered as products for kernel in our country. It is very important to determine the appropriate variety for the region among so many varieties. Selection of varieties whose growing periods are suitable for vegetation period of the region and which may ripen safely, is very important in Central Anatolia. In corn cultivation, there is generally an inverse relationship between earliness and yield, producers may risk safe ripening condition by choosing varieties which tend to ripen late. In our city, very early varieties are sold for silage purpose and yield is considerably low in these short varieties whose leaf number is low. Also, composite varieties which aren't hybrid, are distributed for silage purposes due to their low prices, and as these varieties have low yield, they also form low quality silage material by forming sterile plants and cobs with few kernels in frequent planting. 10. It should be suitable for the purpose of use (kernel, silage). Click to download relevant section of book titled “Farmer’s Guide to Plant Production”. Click to download book titled “Farmer’s Guide to Plant Production”.